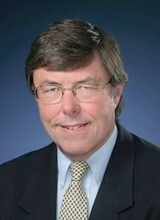 Charley Casserly was born in 1948, in River Edge, New Jersey and is a 16-year veteran NFL General Manager and 24-year NFL executive that worked for the Washington Redskins and Houston Texans. He currently works for NFL Network and CBS Sports. Considered by manyas one of the most respected General Managers in the NFL throughout his career, Casserly most recently served as Senior Vice President & General Manager, Football Operations, for the expansion franchise Houston Texans beginning in 2000 through 2006. He headed all football Operations for the club. In addition, Casserly has had extensive experience in radio and television for 16 years. While in Washington, he was a part of local television shows on WUSA (CBS), WJLA (ABC), WTTG (Fox) and HTS (Home Team Sports), as well as radio shows on WTOP and WJFK. In Houston, Casserly did four years of television on KTRK (ABC) and six years of radio on KILT. In the Fall of 1999, he reported three times per week on ESPN radio and was a contributor on ESPN's show, Edge NFL Match-Up. In 2008, he was the color commentator for the Philadelphia Eagles preseason games on Eagles Television Network. Football stars such as a Charley Casserly have taken the game to new heights by excelling at their respective position. The booking agents at AthletePromotions can assist with Charley Casserly speaking engagements or appearances from NFL stars. We have years of experience in booking gridiron greats for keynote speeches and autograph signings. Hiring a football speaker like Charley Casserly is not a hard process. Our agents can provide availability, fees and all costs associated in bringing out a successful football star to your next corporate event. We can find Charley Casserlys agent to make this booking happen. A Charley Casserly appearance will add energy to your upcoming event and reward employees, customers and clients.Most likely, football fans and corporations can find Charley Casserly's official website, charity involvement, Twitter account, representation, publicist and management info at www.Charley Casserly.com.